When managers use research, they are applying the methods of science to the art of management. All business undertakings operate in the world of uncertainty. There is no unique method which can entirely eliminate uncertainty. But research methodology, more than any other procedure, can minimise the degree of uncertainty. Thus it reduces the probability of making a wrong choice amongst alternative courses of action. This is particularly significant in the light of increasing competition and growing size which make the task of choosing the best course of action difficult for any business enterprise. 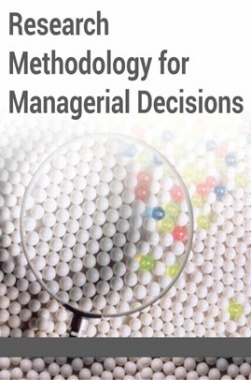 It is imperative that any type of organisation in the present environment needs systematic supply of information coupled with tools of analysis for making sound decisions which involve minimum risk. It is in this context that the research methodology plays a very important role. In this unit, we will discuss at length the importance of research in decision making by delineating all its relevant elements.